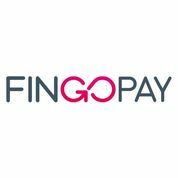 Fingopay is raising £750,000 investment on Crowdcube. Capital At Risk. Sthaler created a unique biometric, identity and payment service originally designed for music festivals called Fingopay. It has caught the attention of retail sectors in need of fast, safe and accurate customer experiences. Now, through its global partners we are aiming to achieve scale and reach. The global payments industry is forecast to be worth $2trillion by 2020. Fraud and inadequate verification present challenges to businesses and threats to consumers. Merchants face: Point of Sale (PoS) operational inefficiencies because they can't identify their customers using card or cash. Use of loyalty cards has declined massively as shopping habits change but shoppers want to be rewarded. Convenience, reducing transaction times and queues is what the retail, hospitality & leisure sectors are demanding. The Crowd will get the same terms in this round as offered to our private and institutional investors. We have raised over £5m to date. Fingopay uses Hitachi's VeinID™ to authenticate and verify payments. Infrared light illuminates the unique vein pattern in your finger. Fingopay creates an anonymised cryptographic token. This is matched with your details in the Cloud. Identity is verified and payment can be completed in seconds. Fingopay enables greater efficiency, speed and volume of transactions for merchants. Which can create more footfall and better customer experience. They can map purchasing preferences to offer targeted promotions and deals. We have proven customers and retailers want it through successful pilots at Proud Bar, Camden; Brunel University, London and Copenhagen Business School. Sthaler has developed our technology in partnership with Worldpay, VISA and Nets. To see the rest of the Fingopay pitch, join now. Join to read more information about the Fingopay team, documents, and what other investors are saying about the pitch.